The Department of Child Safety, Youth and Women has approved funding of $1.5 Million per annum until March 2021 for Lifeline Darling Downs and South West Qld Ltd to operate the new “Safe Connections” program to help community organisations better support people experiencing domestic and family violence and sexual violence across south west Queensland. From July 2018 “Safe Connections” domestic and family violence program will be offered in Charleville, Cunnamulla, Roma and St George and surrounding districts providing practical support, referral, home safety and court support. 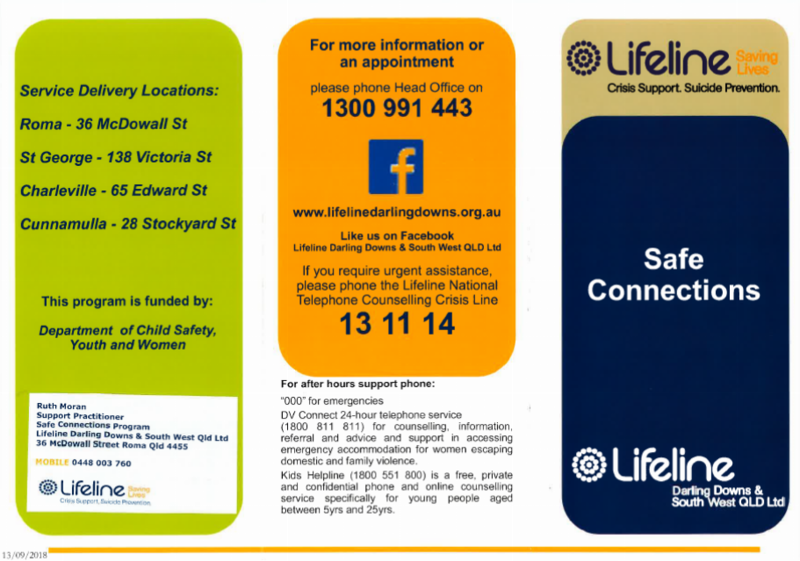 Safe Connections will also provide counselling and support to women and children affected by domestic violence. It will also provide court-based support and information to aggrieved and respondents who attend court for domestic and family violence matters. 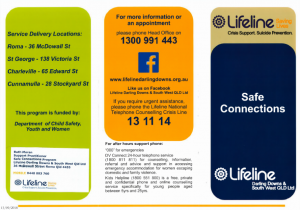 Safe Connections will be providing direct support services as well as working closely with local well established service providers to ensure that a strong multi-agency response to issues of domestic and family violence and sexual violence is provided. Safe Connections will be sub-contracting private counsellor/psychologist to provide therapeutic interventions to adults and children experiencing domestic violence. Safe Connections will work with the victims and the perpetrators to ensure a holistic approach to addressing domestic and family violence issues in South West Queensland. A strong partnership between government and non-government organisations, and the commitment of the community as–a-whole is needed to make a real and sustained progress in preventing domestic and family violence. The DFV Support Practitioners will be the first point of contact for victims who require domestic and family violence or sexual violence support. This will include providing direct support services as well as working closely with local service providers to ensure a strong multi-agency response to domestic and family violence and sexual violence is provided. The DFV Support Practitioners will be central to a client’s journey through the service system acting as service navigators and key conduits for information sharing. High quality, timely crisis responses, including risk assessment and addressing the immediate safety and support needs of victims including facilitating access to medical attention, emergency housing and other essential support services. 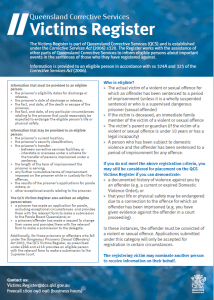 Immediate practical and emotional support for acute sexual assault including assistance for forensic medical examinations and reporting to the police. Culturally appropriate interventions to perpetrators of violence based on local need and ongoing safety and risk assessments. Information and support to victims (aggrieved) and perpetrators (respondents) at Roma, Cunnamulla, Charleville and St George Magistrate courts. Due to the very low number of DVO applications at Quilpieand Mitchell courts it will not be necessary for DFVSP to be physically present at these locations. However, DFVSP will be expected to have relationships with police in that area, and where requested or required telephone or skype support will be provided. Develop strong working relationships with key referral agencies such as the DVConnect Womensline(state wide domestic violence crisis service for women), Queensland Police Service, Queensland Health, Women’s Shelters and other relevant stakeholders providing service responses to people affected by domestic and family violence and sexual violence. Lead the establishment and ongoing operation of the local working groups. Ensure information provided by clients is appropriately recorded and securely stored to ensure privacy is maintained. Ensure that the Safe Connections program is delivered in a high quality, professional and ethical manner. Develop and hold a framework that values relationships and reflects the principles of inclusion, respect, participation and transparency. Engage effectively with a range of internal and external stakeholders to promote the Safe Connections program and develop partnerships within the South West region. Ensure the compliance and delivery of reporting requirements as per the respective program funding agreements including ongoing communication with the designated funding body representatives. Engage with Indigenous families, developing an understanding of the specialised cultural needs. As a member of the greater Lifeline Darling Downs and South West Qld Ltd (LDDSWQL) team, facilitate the achievement of LDDSWQL philosophy, mission, strategy and its annual goals and objectives. For more information contact PCYC Roma. 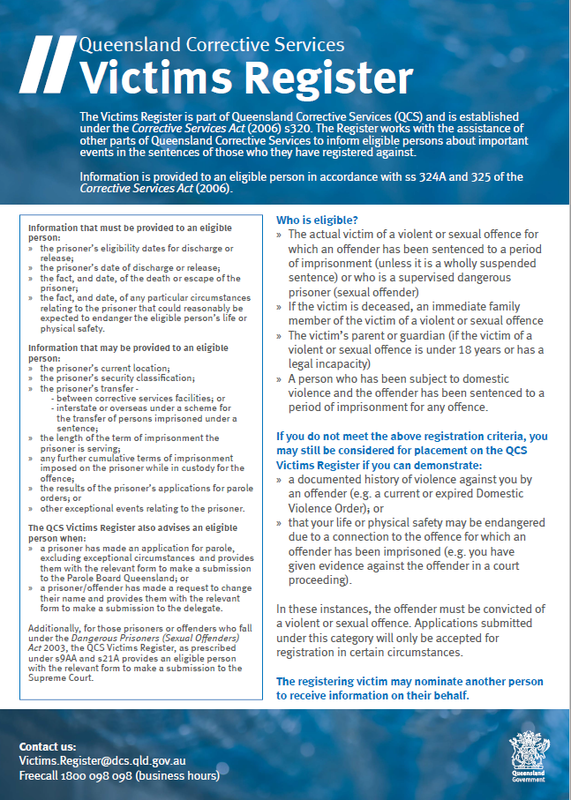 Special enrolment options available to electors who may be experiencing domestic violence. Electors can apply to register as a silent elector if they believe having their address on the electoral roll would put them or their family’s safety at risk. If you are granted silent elector status only your name is shown on the publicly available electoral roll. If you are already enrolled, you can register as a silent elector by using the form attached. complete the statutory declaration and explain what you consider the risk to be and why your personal safety (or that of your family) is at risk. If you are not enrolled, you can enrol online or complete a the PDF version of the enrolment form (also attached) and then return it to the AEC with your silent elector form. A separate silent elector form is required for each person requesting silent elector status. You can provide one statutory declaration as long as it includes the names of all the people applying. Silent elector status is not granted automatically. Each application is considered by the Divisional Returning Officer and a decision is made based on whether it meets the legal conditions for silent elector status. If you would like further information, please don’t hesitate to contact a member of our team on the contact details below. T: (07) 3834 3465 | E: Indigenous-QLD@aec.gov.au. This is a co-ordinating role for crime prevention and recruiting strategies within the Roma Patrol Group. The function of the DCPC is to educate the community with strategies to reduce them from being a victim of crime, for example the ‘Lock it or Lose it’ campaign. The DCPC liaises with various cultures attempting to understand their beliefs and ways to break the barriers amongst the Police and Community. 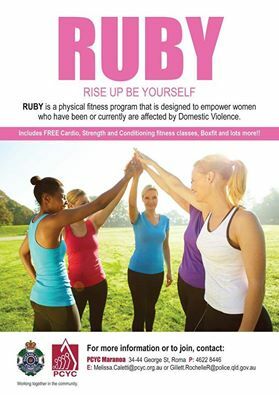 Rochelle is also the Domestic and Family Violence Coordinator for the Roma Patrol Group.